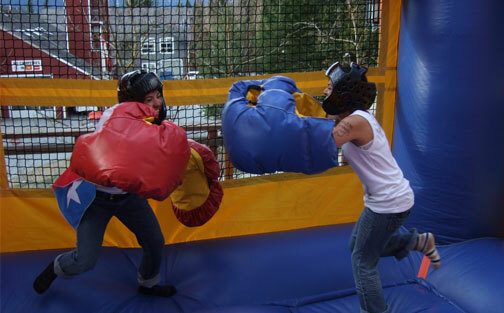 Step up to the ring and take on one of your friends as you try to knock each other down with the oversized boxing gloves. With each swing of your arm, it looks like an awesome slow-mo type punch. It’s entertaining to both watch and play. You can even make a tournament out of it. Prepare to have fun with this one it’s hilarious to both watch and participate. 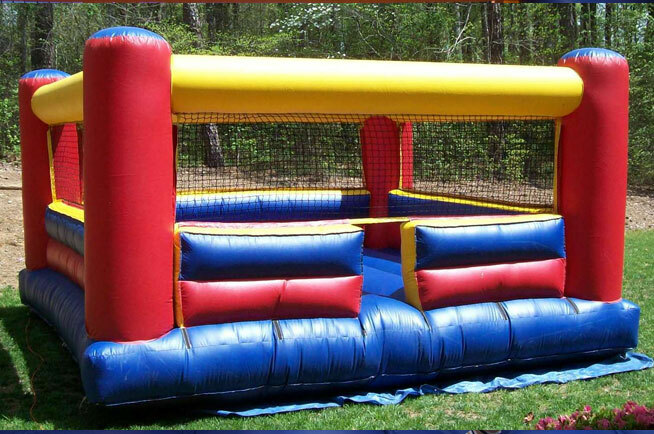 This inflatable boxing ring looks like a real boxing ring. Only difference? It has added safety features of side netting and large support columns. Box without the hurt! 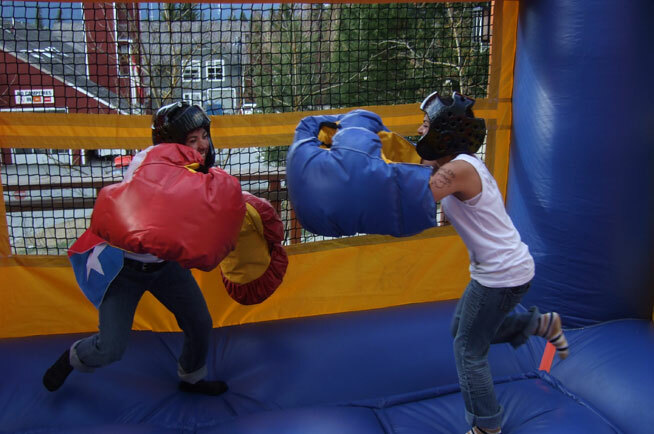 Watch as you or your friends try to knock the other down with a punch. Includes two oversized hands and helmets.